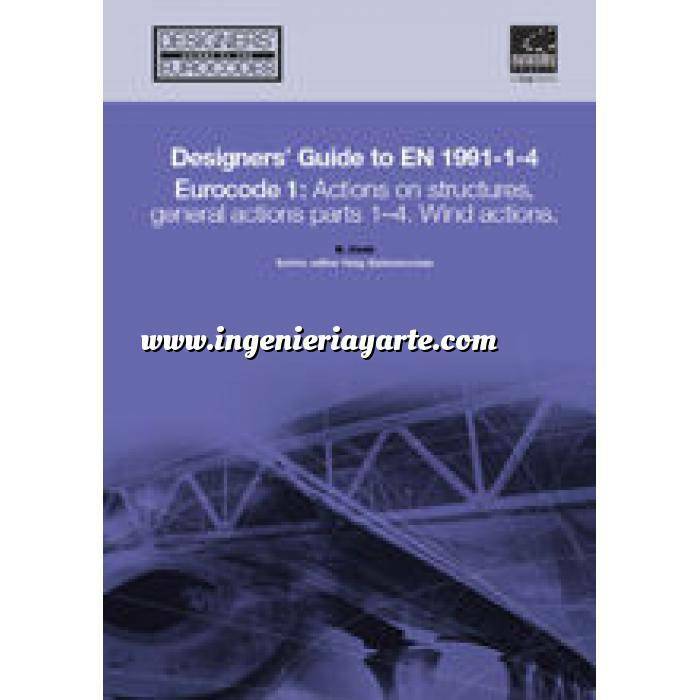 EN1991-1-4, Eurocode 1: Actions on structures -General actions - Part 1-4: Wind actions, is the head code for wind actions on structures and describes the principles and requirements for calculating design wind loads on structures. It complies with the requirements of Eurocode EN1990, Eurocode: Basis of Structural Design, and provides the wind actions necessary to implement the structural design Eurocodes 2 to 9. The principal aim of this book is to provide the user with a commentary on the interpretation and use of EN1991, Eurocode 1: Actions on structures - General actions - Part 1-4: Wind actions, and on the expected changes that will be introduced by the associated National Annexes. In particular, the opportunity has been taken to add a commentary on the changes introduced in the UK National Annex.